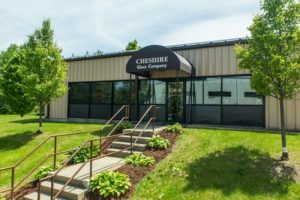 For any of your residential projects – whether it is replacement windows to gain improved efficiency, or remodeling your bath to include the excitement of a glass shower enclosure – to custom mirrors, glass table tops, or a new screen patio or porch – we at Cheshire Glass have the experience, technical expertise, and creativity to make your dreams a reality. All of our work is GUARANTEED to your complete satisfaction. We treat your home as our home and give you the full personal attention that you deserve. This is what all of us at CHESHIRE GLASS see as our job every day. We love to see smiles on our customers’ faces! We are here to walk you through the whole process to help you choose the very best value for your home, budget, and lifestyle. If you are ready to get started, or you aren’t quite sure of where to start, we invite you to contact us to talk more about your options. We invite you to contact us at any time to chat more about you project. We’re here to help.